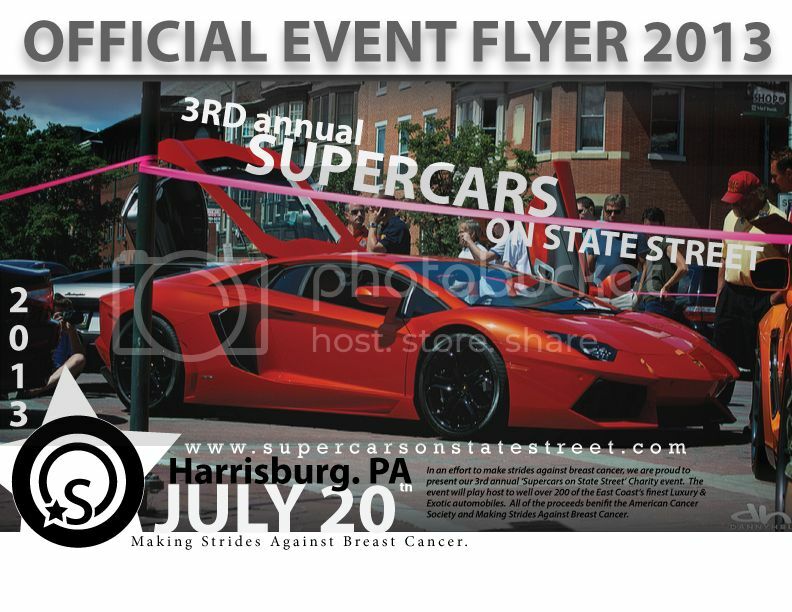 Harrisburg, Pennsylvania will be the place to be July 20, 2013 for this, the 3rd Annual 'Supercars on State Street' Charity Event. Established in 2010 as an entirely non-profit organization, this show has helped do its part to fight breast cancer through its support of the American Cancer Society and the Making Strides Against Breast Cancer Foundation. Last year saw well over 150 of the finest Luxury and Exotic automobiles, of all makes and models, making this our most successful show to date. This year will be nothing short of excellent, as we anticipate over 400 Luxury/Exotic and High Performance vehicles. Supercars on State Street 2012 from Jared Houston on Vimeo.